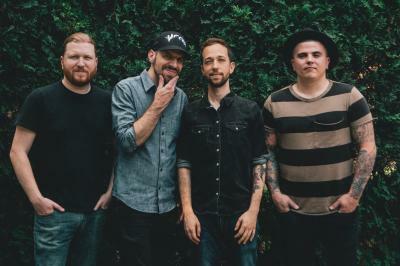 Pittsburgh pop-punkers Punchline have returned to their roots with their latest release, *Lion, and are returning to Erie to headline a show at Basement Transmissions. Pittsburgh pop-punkers Punchline are coming back to Erie, alongside Colourshow, Archway, and It Kicks. Punchline have a long history of making the trip up from the Steel City to the Gem City, one that dates back to the days of The Hangout and Forward Hall, and are now continuing that tradition at Basement Transmissions. Punchline released their eighth full-length album, Lion, last March, and followed up with a music video for the single "Darkest Dark", which was filmed at various sites around their hometown in August. Lion feels much more like classic Punchline than the last few releases by the band, finding their way back into more rock-inspired tunes, rather than the synth-based pop sound found on Thrilled and Politefully Dead. "If you already like our band, there's a good chance this will be your favorite album of ours," bassist Chris Fafalios told the Pittsburgh Post-Gazette. "I feel pretty strongly this is the album people want from us."